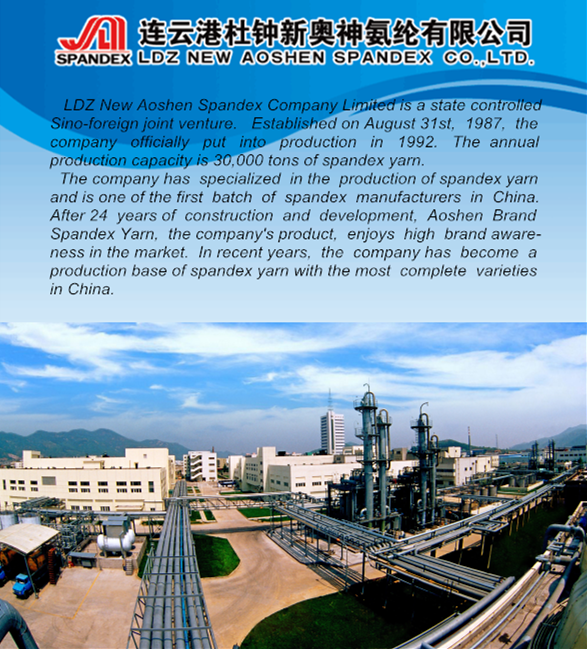 AOSHEN 840D spandex has high strength and high resilience. It make the fabric strong and comfort. There are two kinds of packing: 1KG and 3KG , they are respectively used for webbing and diapers. The 1KG spandex can meet the needs of various tapes and clothing accessories, Such as bandages, cuffs, waist and so on. The other one often used for diapers. This product was packaging by the carton with locator, 27 cakes per carton. This product was packaging by the carton with locator, 6 cakes per carton. Looking for ideal Spandex Yarn Band Manufacturer & supplier ? We have a wide selection at great prices to help you get creative. All the Cotton Spandex Fabric are quality guaranteed. 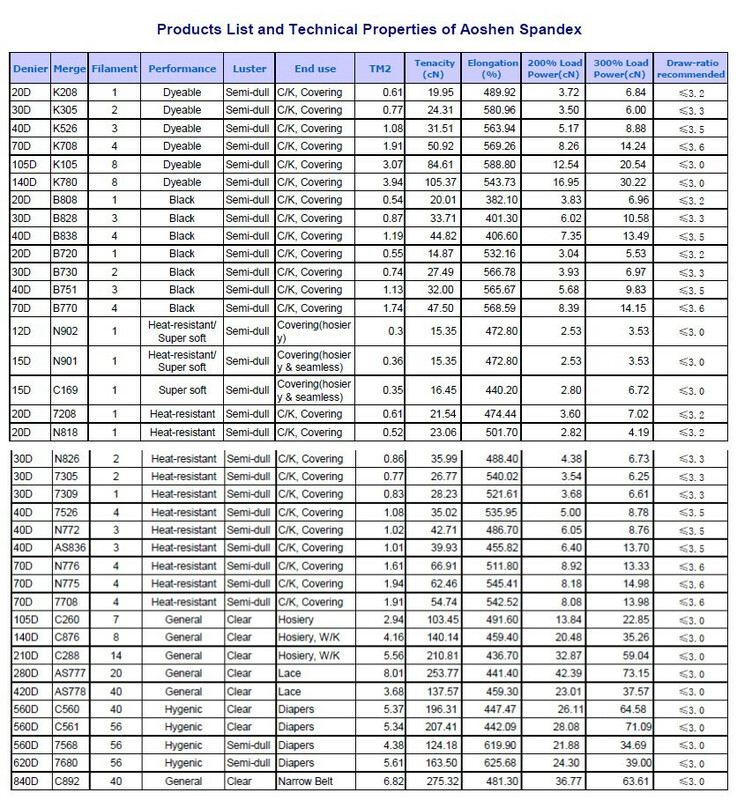 We are China Origin Factory of Polyester Spandex Fabric. If you have any question, please feel free to contact us.